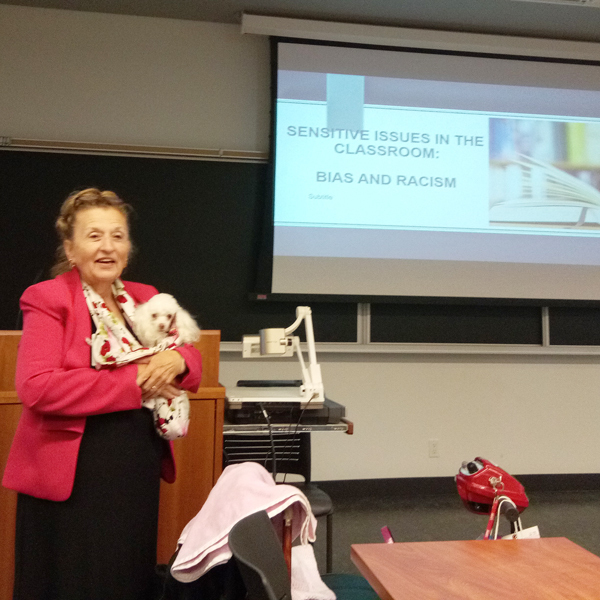 Barba Patton, a University of Houston-Victoria professor of education in the UHV School of Education, Health Professions & Human Development, presents a paper in June during the 2018 Canadian International Conference on Education in Mississauga, Ontario, Canada. Patton recently received a $2,000 Learning & Leadership Grant from the NEA Foundation to help pay for travel to the 2019 conference, where she will continue a project that was started during the 2018 event. The project is titled "Unraveling the Mystery of Teaching Math to Limited English Students." Patton will be conducting interviews with conference attendees about strategies to teach math to English Language Learners. Patton estimates it will take two years to collect enough interviews to complete the project.